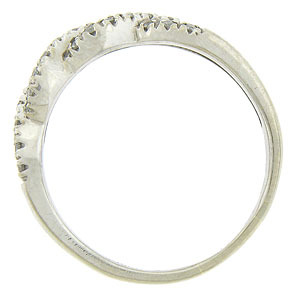 A twisting ribbon of white gold frosted in diamonds adorns the face of this antique style wedding band. 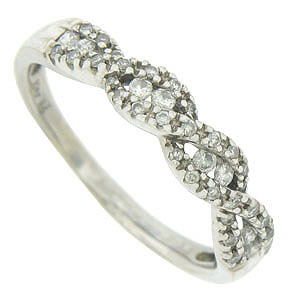 Pairs of round cut diamonds are set between the winding braids. The sparkling band is fashioned of 14K white gold and measures 4.39 mm in width. Size 9. We can re-size.